An experienced patent litigator, Amy E. Proctor advises clients on intellectual property issues and handles patent infringement disputes across a wide range of technologies, including computer architecture, pharmaceuticals, and renewable energy. Amy has helped obtain hundreds of millions of dollars in settlements for patent holders. 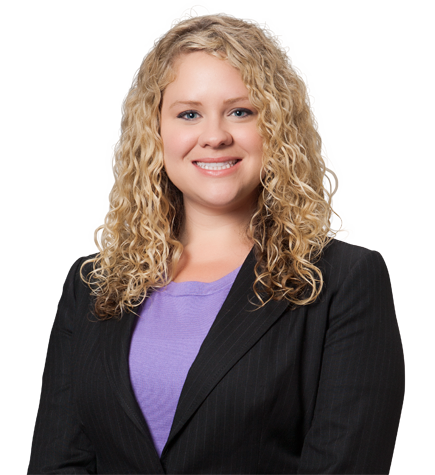 Amy also defends clients against patent infringement claims, protecting the accused from significant liability. With technical and industry expertise, Amy provides solution-oriented advice to overcome the unique challenges facing each of her clients. Amy has particular expertise in proving patent damages, including by carefully apportioning complex technology to a patented invention’s footprint. Amy believes in applying innovative scientific and econometric approaches to quantify the specific benefits created by her clients’ inventions, and then distilling those benefits into value that is easily recognized. Amy is involved in many aspects of firm management, including serving as the co-chair of Irell’s Summer Program and a long-time member of Irell’s Hiring, Mentoring, and Diversity Committees. Amy is passionate about recruiting and retaining diverse talent to continue Irell’s legacy of creativity and client success. Amy earned her J.D. from the University of Southern California, Gould School of Law, where she graduated Order of the Coif and received the Malcolm Lucas Award. As an undergraduate, Amy worked as a research assistant in the University of Florida Chan Physics Lab, where she helped implement a method for measuring the quantum forces associated with the Casimir effect. Her research focused on refining fabrication techniques to improve microelectromechanical system performance. Amy also completed an REU program at the University of California, Los Angeles Physics Department, where she assisted with high-speed tracking of membrane proteins. Intel Corp. v. Future Link Systems, LLC (D. Del.). Represented Future Link in a declaratory judgment action originally brought by Intel seeking relief with respect to nine patents. Counterclaimed for infringement of 15 patents—including patents relating to on-chip interconnect architectures, integrated circuit thermal monitoring systems, computer security, power saving techniques and processing performance optimization—and obtained favorable claim construction and summary judgment outcomes. Developed detailed damages analyses for all asserted patents, each of which survived any Daubert challenges. The case settled shortly before the first trial. Santarus Inc. v. Par Pharmaceutical Inc. (D. Del.). Obtained a $100 million settlement for Santarus, an innovative pharmaceutical company based in San Diego, in this case involving Santarus's drug Zegerid, which is used to treat disorders relating to excess stomach acid. After Par won at the district court level and launched a generic version of Zegerid at risk, the Federal Circuit found for Santarus, leading Par to voluntarily withdraw its infringing generic from the market in 2012. On remand, designed a detailed lost profits case to quantify Santarus’s damages for Par’s two years of infringing sales. The case then settled shortly before trial. Rockstar Consortium v. Cisco Systems (D. Del.). Represented Rockstar Consortium in a set of infringement and declaratory relief actions involving dozens of telecommunications patents acquired by five of the world’s largest technology companies from the estate of Nortel Networks. Massachusetts Institute of Technology v. Vizio Corporation (D. Mass.). Represented MIT in a patent infringement lawsuit involving its portfolio of fundamental patents in digital television technologies developed in the early 1990s and adopted by the industry. Obtained a successful resolution prior to completion of discovery or claim construction.